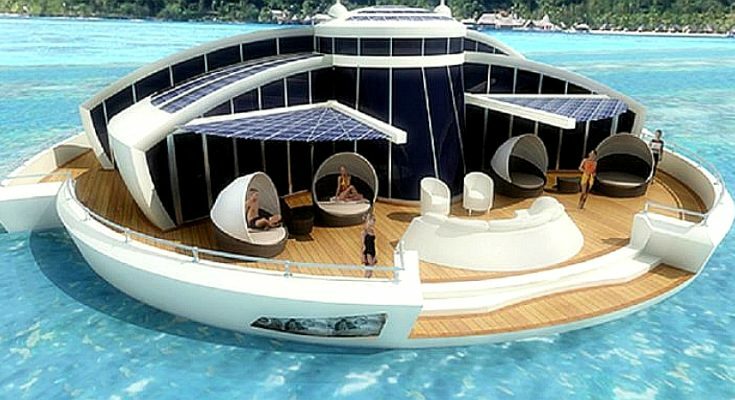 The idea of living on water is irresistibly fun and adventurous! You have a good view in the morning until dusk; you are lulled to sleep by lapping water and greeted with a beautiful morning by croaking gull. 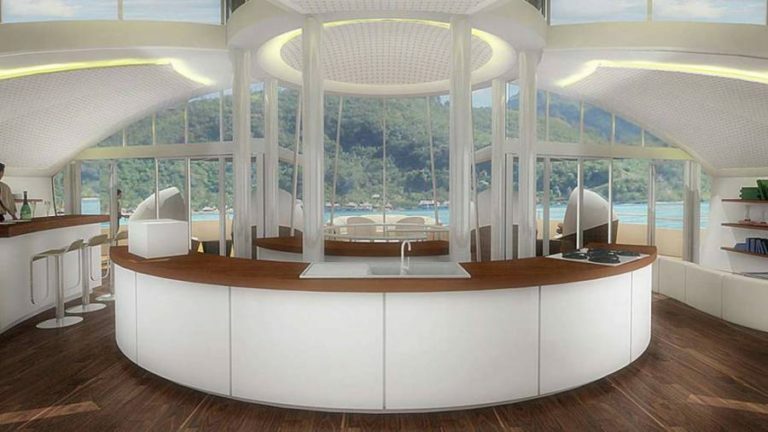 Houseboat living will definitely give you countless lovely experiences that you cannot have if you are living on land. 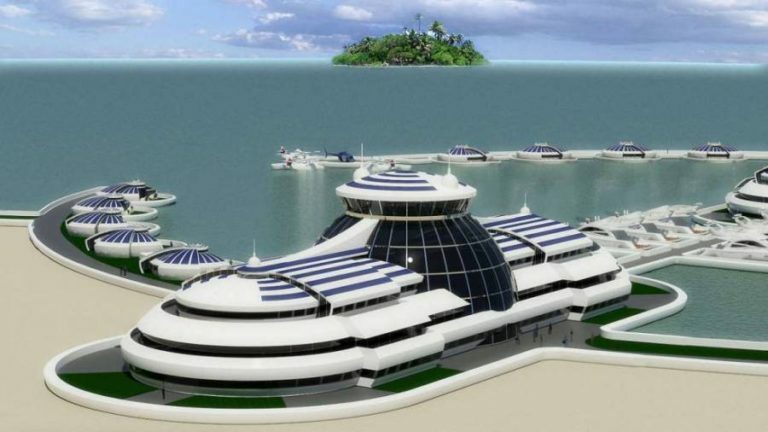 This fascinating Solar Floating Resort will surely define the distant future of unique architecture. As time calls for more dependence on natural and renewable resources, our lifestyle also adjusts. 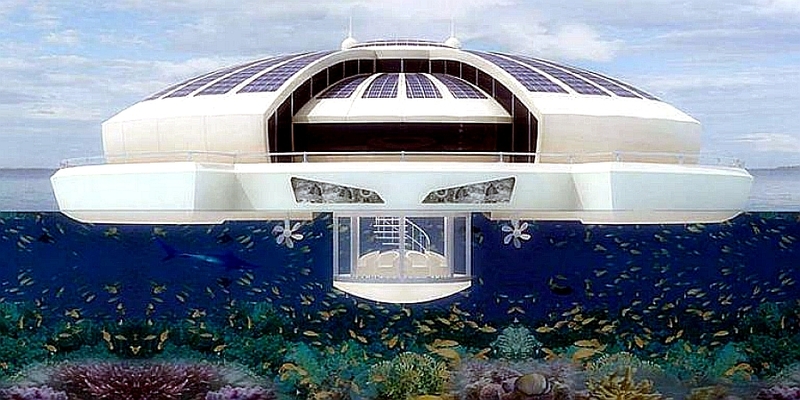 This floating house is a good answer to crowded and congested land population. It is entirely sheltered in a photovoltaic skin which makes it 100% self-sufficient and uses much lesser carbon footprint. It is beautifully designed by Michele Puzzolante of MPD Designs to make it more ecological. 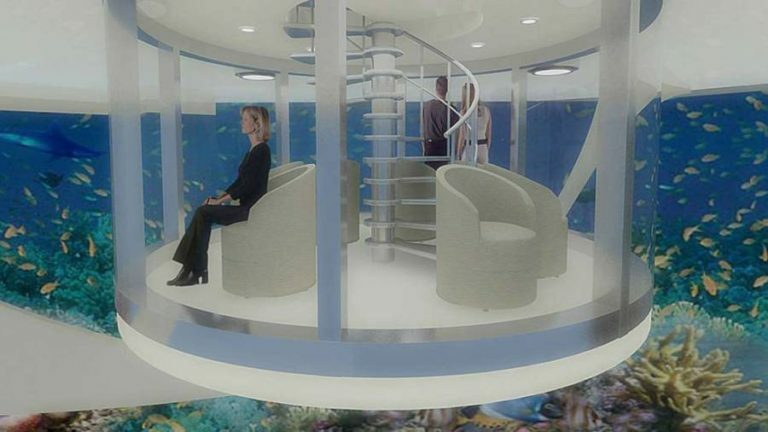 Its round shape allows natural daylight for the whole day and the batteries are fed during the day which is sufficient for clean energy supply throughout the night. About 6 guests can be accommodated with 110 square meter deck which is already a nice size for good lodging during holidays. Another wonderful thing is how the interior is skilfully set to bring purposeful living for the whole family. The attached bathrooms have space-saving water closet while the functional kitchen is large enough to make food preparation and cooking easy and simple. How about its Jacuzzi? You can experience therapeutic bath any time with its Jacuzzi. Aside from it as an ecological dwelling, it is designed with sectional structure that can be divided into smaller components that are movable and assembled in almost any place. 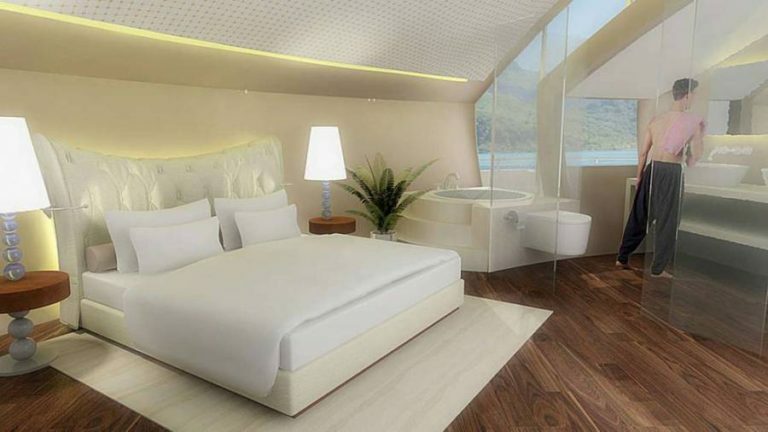 This is such a delightful houseboat abode that will certainly bring exciting and thrilling experiences while living on water. Indeed, home living becomes fun as more and more people embrace the charm of unique dwellings. To see more of Michele Puzzolante’s work, find them in the Building Homes and Living directory.